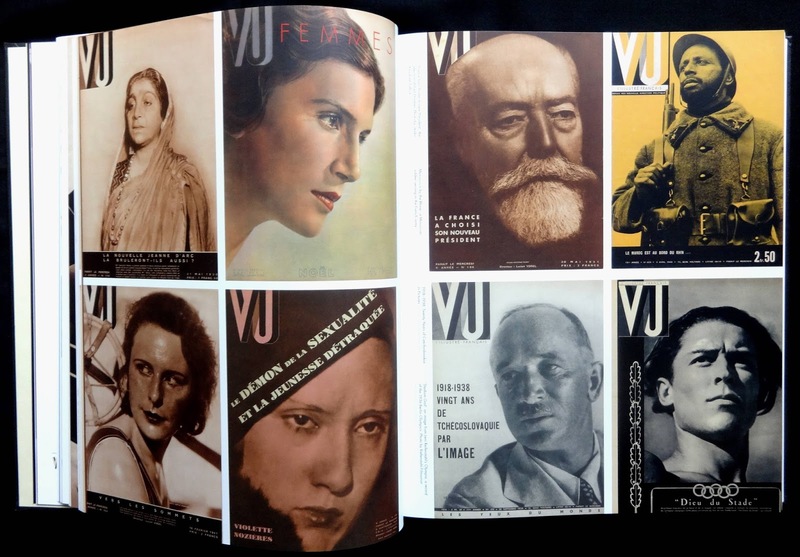 For a weekly magazine that only published 665 issues (21 March 1928 -- 5 June 1940) VU left behind a remarkable legacy as revealed in these pages. 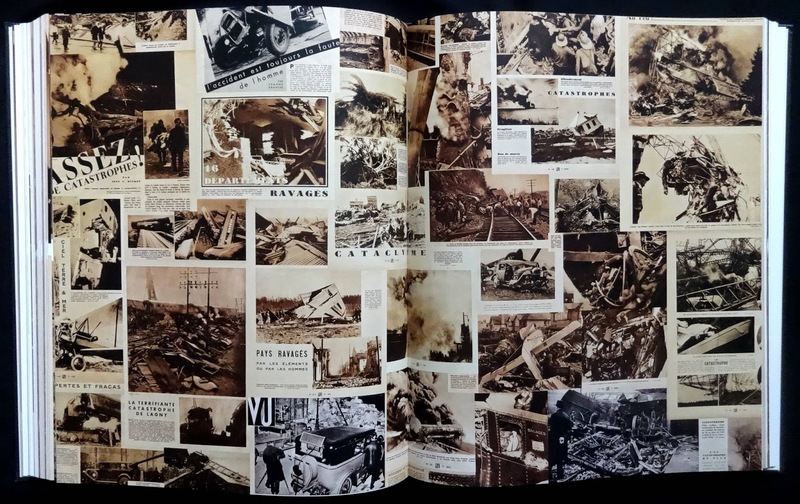 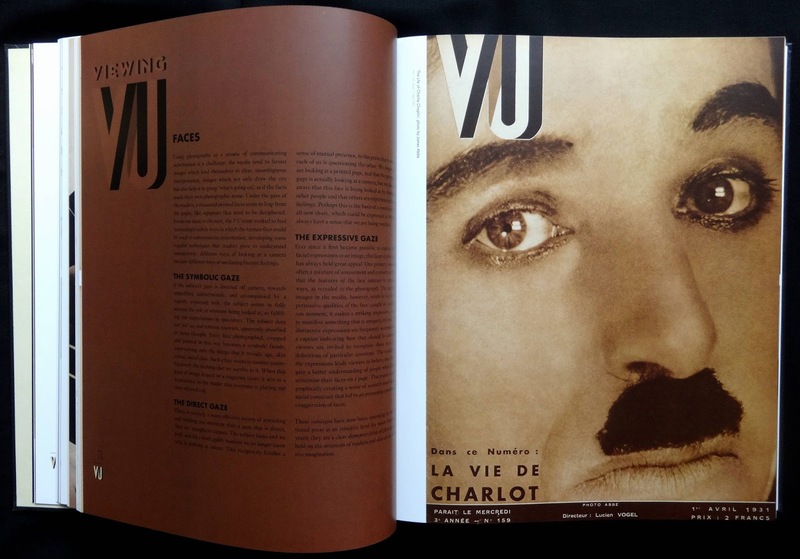 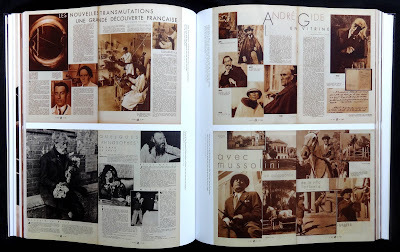 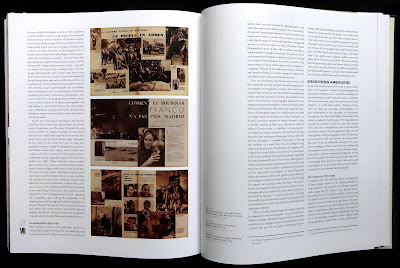 There are eight main chapters: Page layouts; Faces; Photo stories; Photomontages; The rise of Hitler; Sensation and spectacle; Image innovations; Covers and each is crammed with spreads and covers from the magazine and lots of them are big enough to read the stories and captions (assuming you read French). 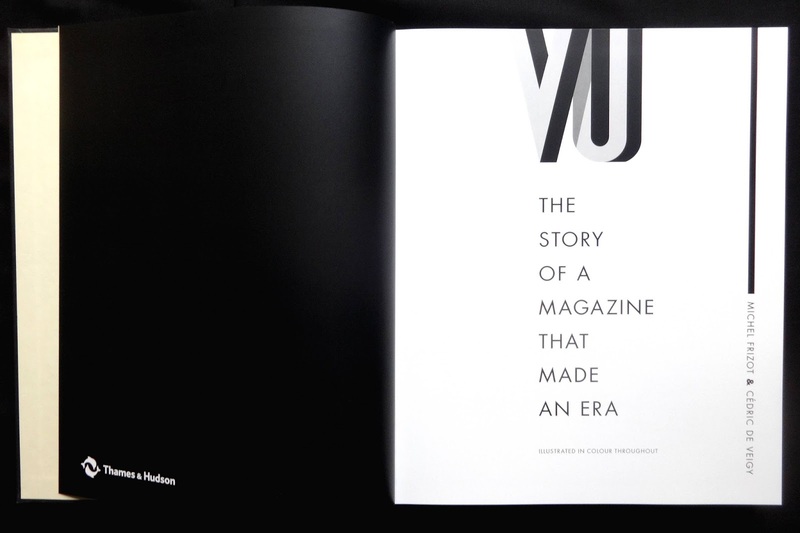 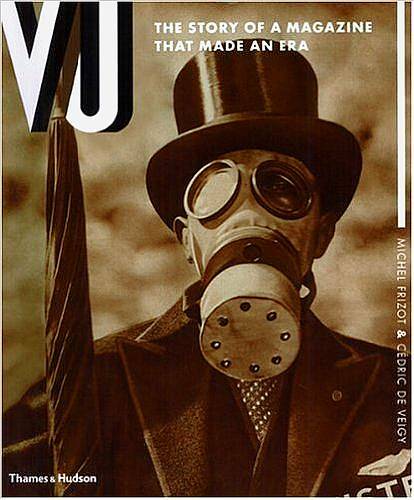 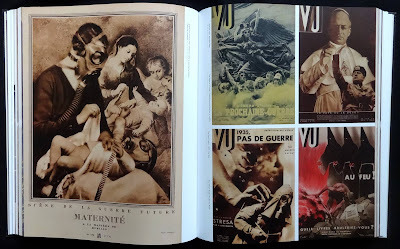 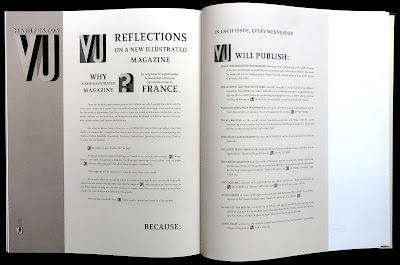 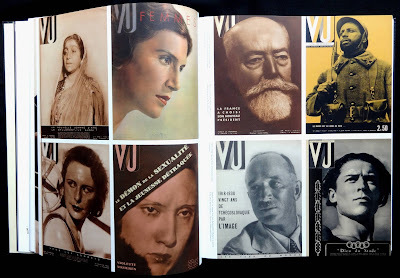 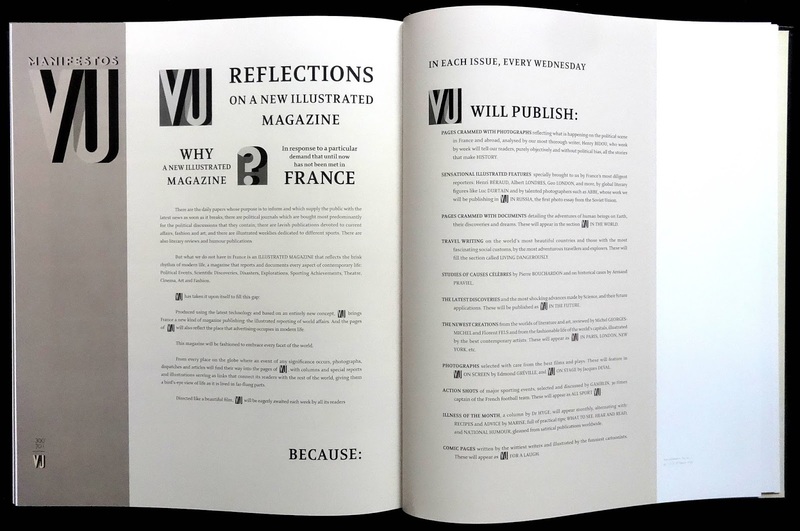 VU was created by publisher Lucien Vogel with editor Carlo Rim and art editor Alexander Liberman (who became US Vogue's art editor and later creative director of Conde Nast) as a general interest picture weekly, some years before Life and Look in the US and Picture Post in Britain. 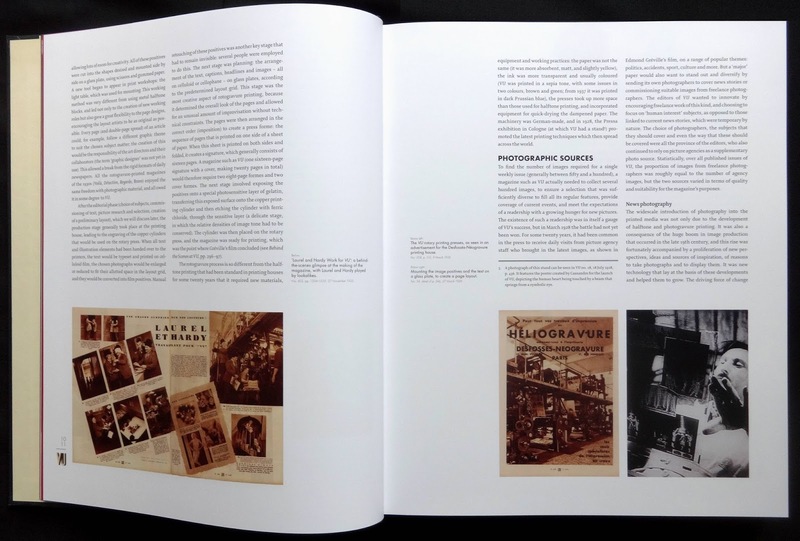 They all took advantage of developing technologies of the day like wire transmission of photos and rotogravure printing. 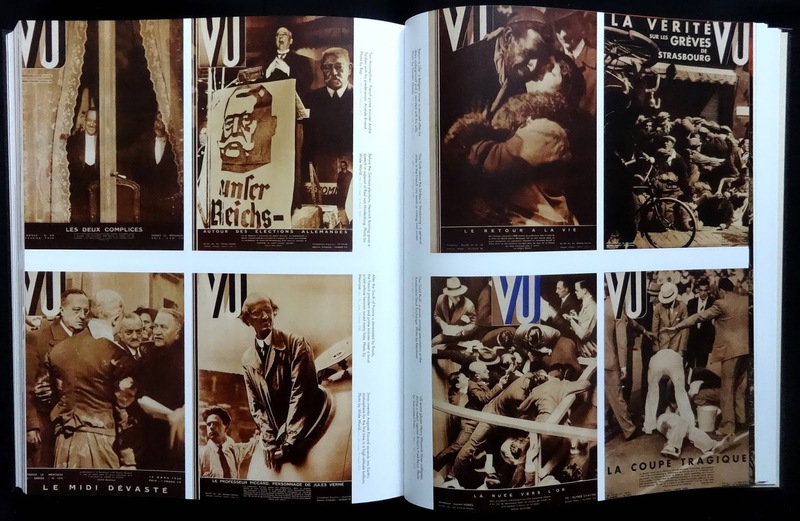 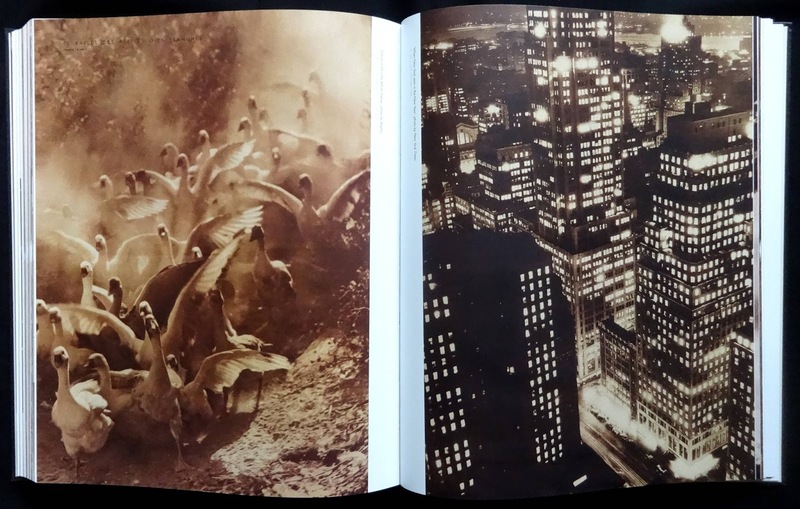 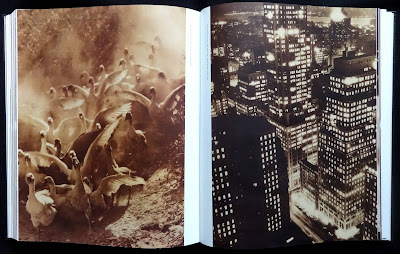 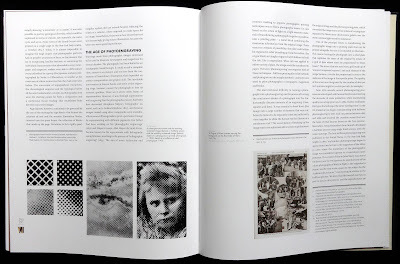 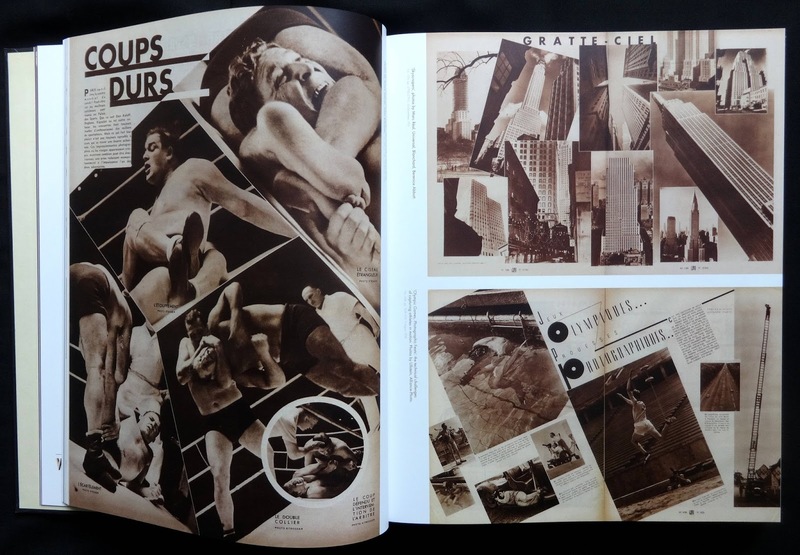 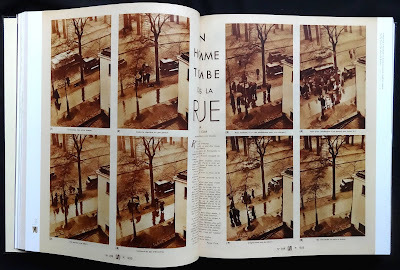 VU was the first though to use photos in a very creative way, especially with montages created by Liberman, no doubt influenced by Russian magazines of the twenties designed Rodchenko, Tellingater, Lissitzky and Stepanova. 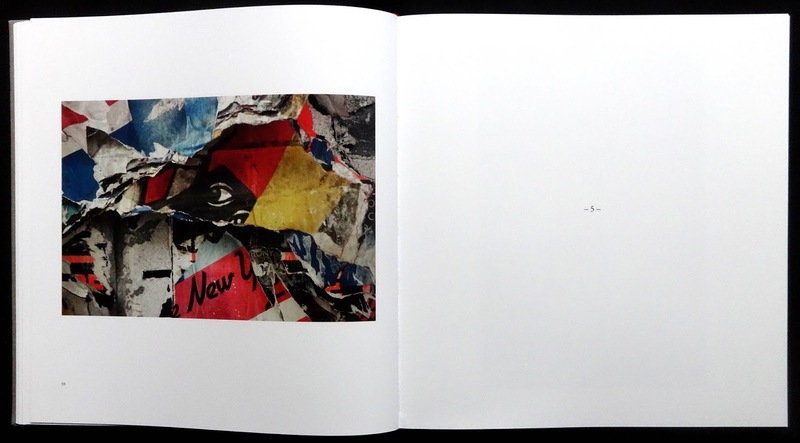 Vogel and Rim seem to have had an editorial knack of creating pages and spreads from ordinary looking photos. 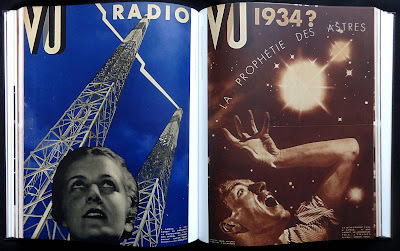 Pages eighty-eight and nine has a spread from a March 1937 issue showing, on the left, comedian Joe E brown and on the right actress Martha Raye, both are laughing, with the headline Look at them and try not to laugh. 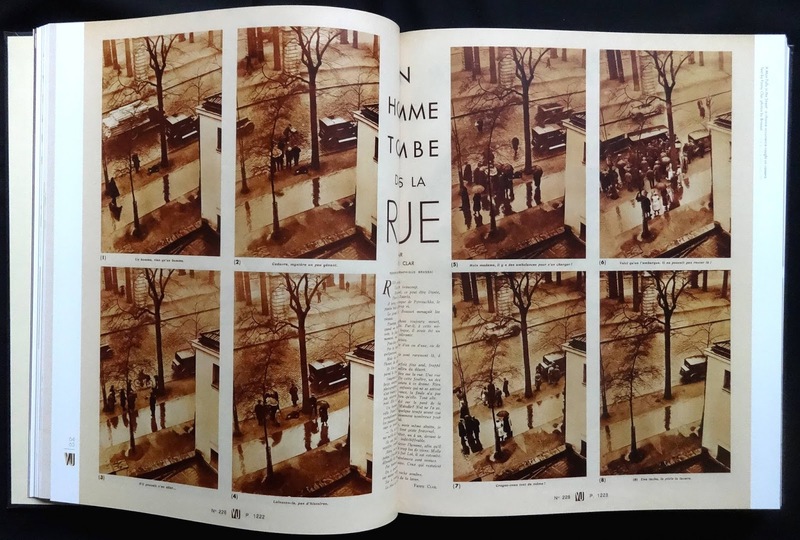 A spread from a February 1932 issue has five close-up photos of models faces with the heading Eyelashes: creating glamour with false lashes, or from May 1932 six photos taken at extreme angles and a filling a spread about painting the Eiffel Tower. 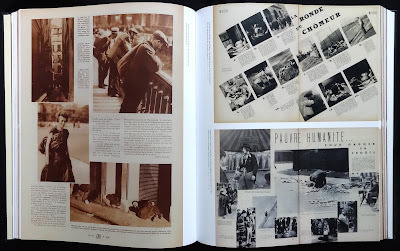 Far easier editorially was handling news photos. 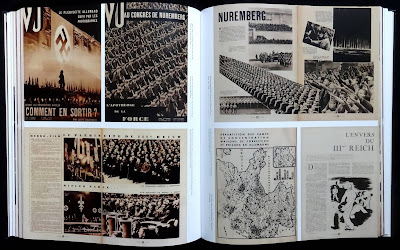 The chapter on Hitler has a selection of spreads and covers, arranged in year order, revealing his rise in Germany, anti-Semitism, concentration camps (Dachau in December, 1933) a Nuremberg rally, Hitler at home in ten photos over three pages from August 1935. 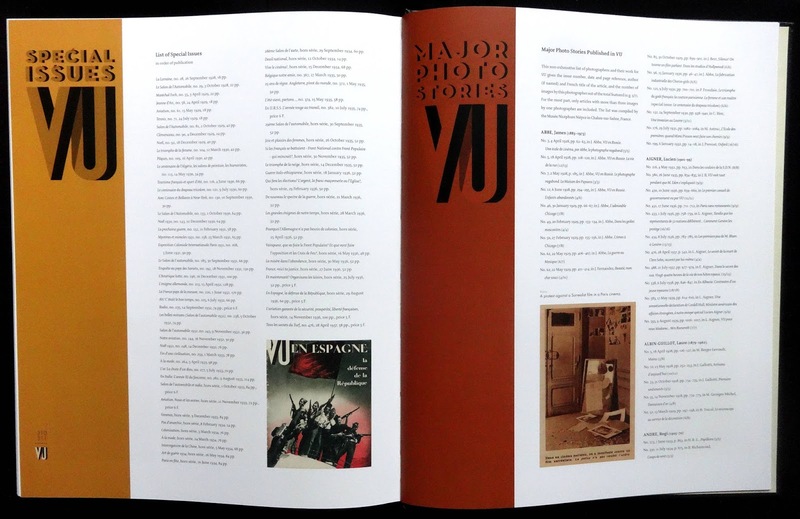 The chapter on covers has forty-six, all of them eye-catching because the photo or montage is so prominent, the cover headline or text is played down unlike today's magazine covers with headlines getting an equal billing with the photo or graphic. 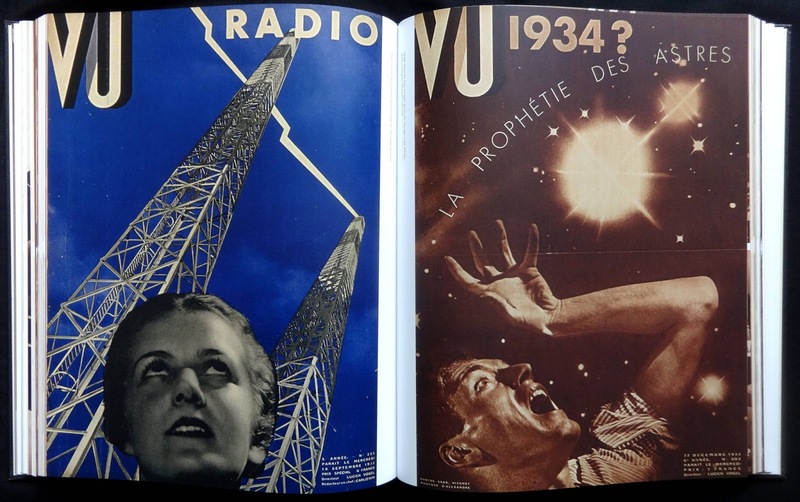 Incidentally the VU logo was designed by AM Cassandre. 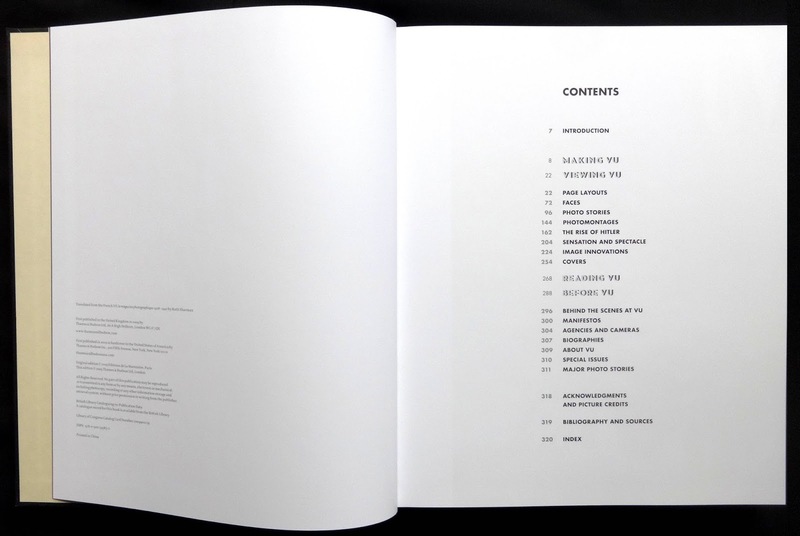 The book is a very thorough look at VU. 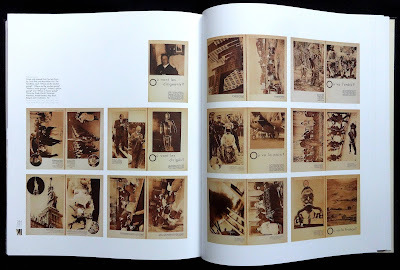 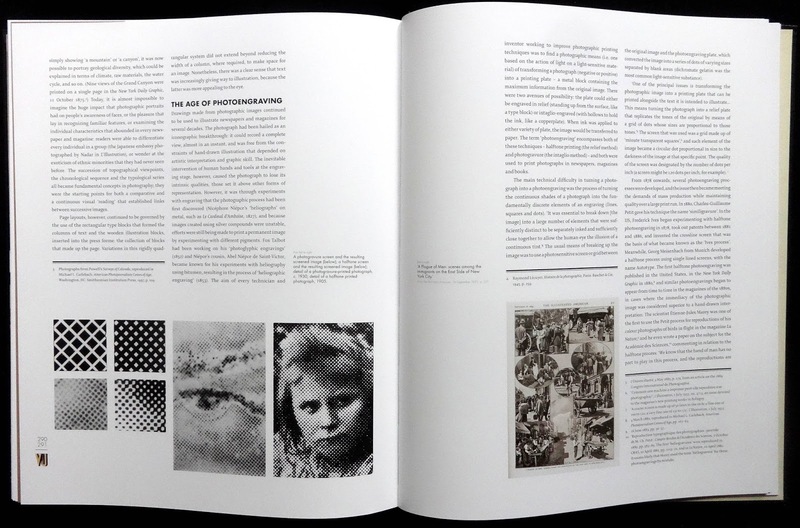 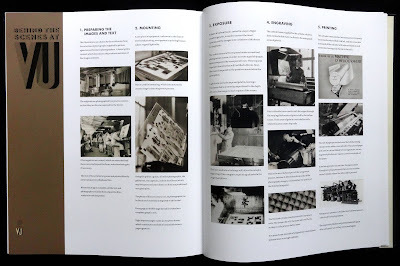 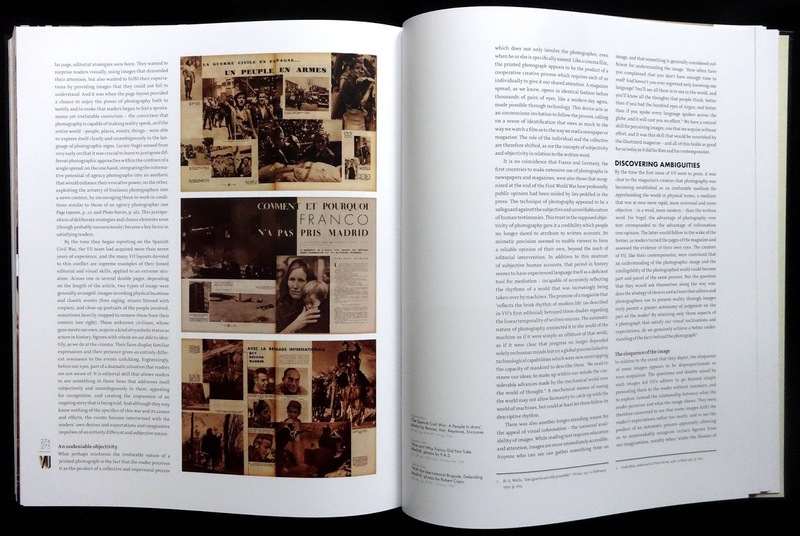 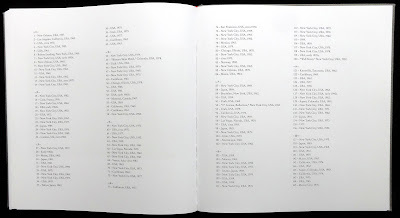 There are seven chapters after the main pictorial section with essays about photography and illustration, cameras, photo agencies, printing techniques, a manifesto from the first issue, biographies of the editorial staff and date list of major photo-stories arranged by photographer. 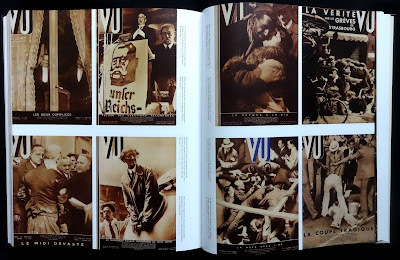 What I didn't find out about VU was did it carry ads, none are shown and the rather odd issue and page numbering. 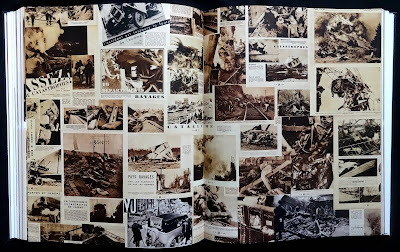 Most pages had the issue number starting from the first one in 1928 and a page number which seemed to start from each new year so that a page from December 6, 1933 is issue 299 and page 1807. The book is now remainder stock and can be picked up quite cheaply...a bargain. 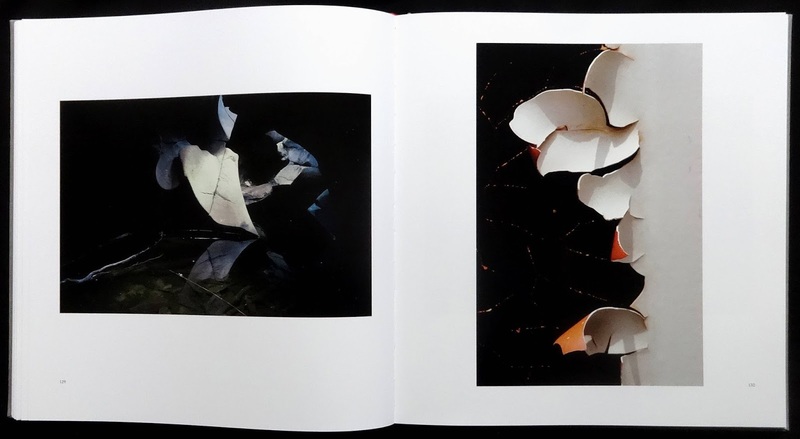 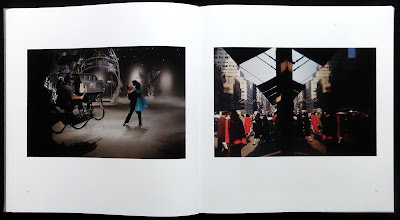 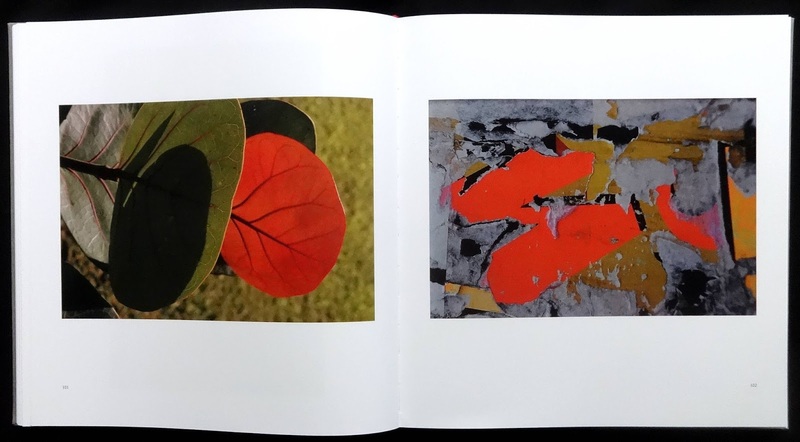 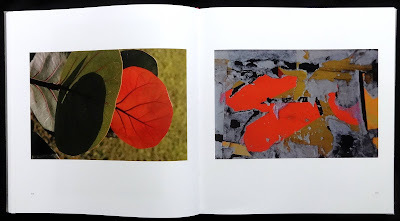 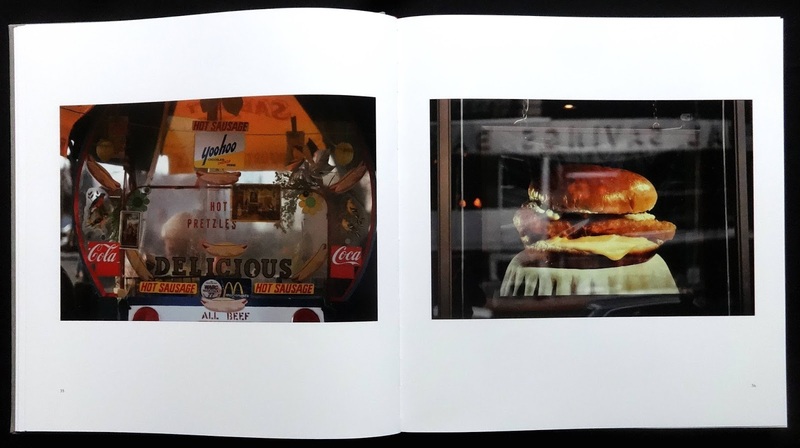 The idea for this wonderful book of photos came from Graham Howe in 2005, he suggested it focus on the more abstract images that Haas had taken over more than three decades, most of which had not been seen before. 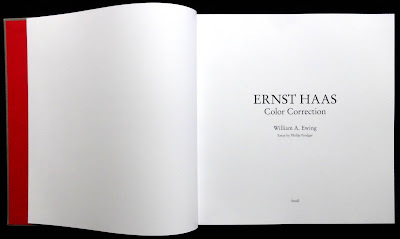 The title is a reprint of the 2011 Steidl edition, and now, fortunately, you don't have to pay the large sums that the original sells for. 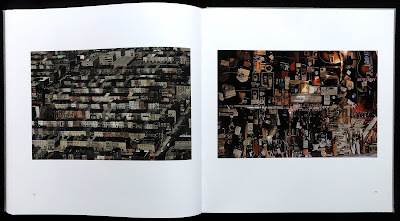 What I find so fascinating about these photos is the way Haas captures the commonplace, here are shots from the man-made landscape available for everyone to see but, of course, we don't, it takes the eye of a very creative photographer to bring it to our attention. 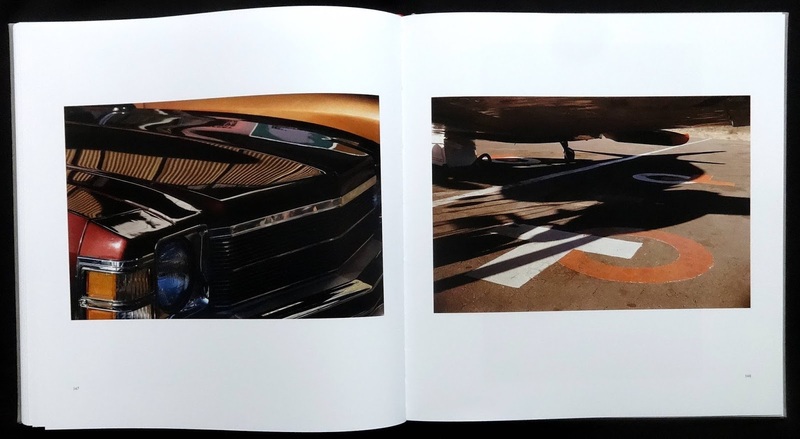 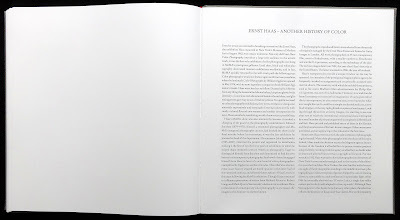 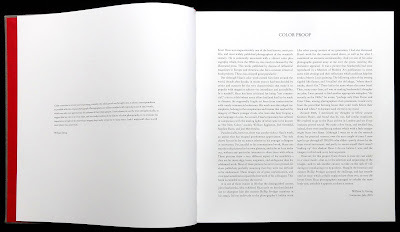 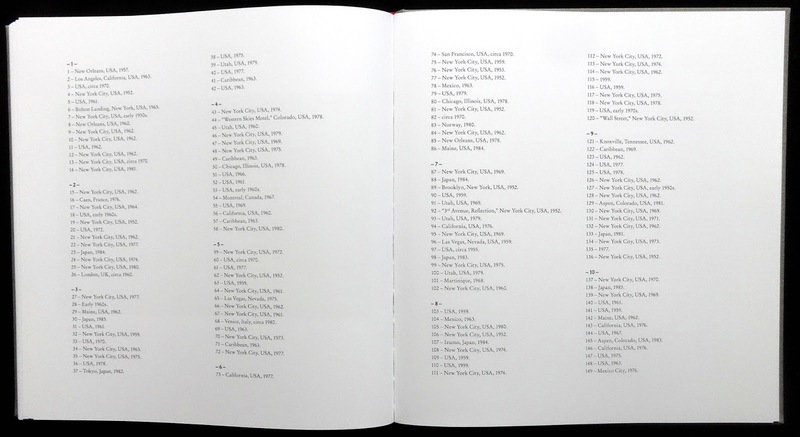 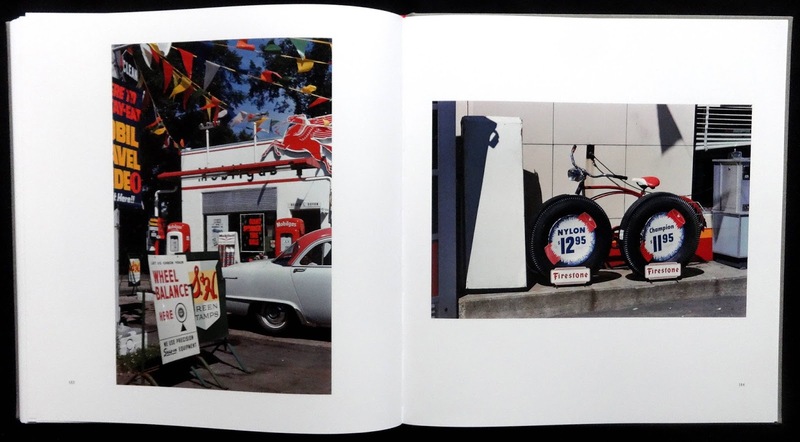 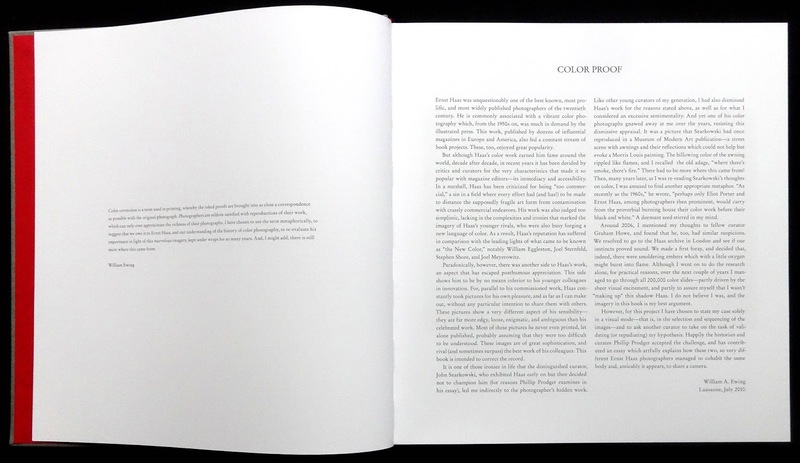 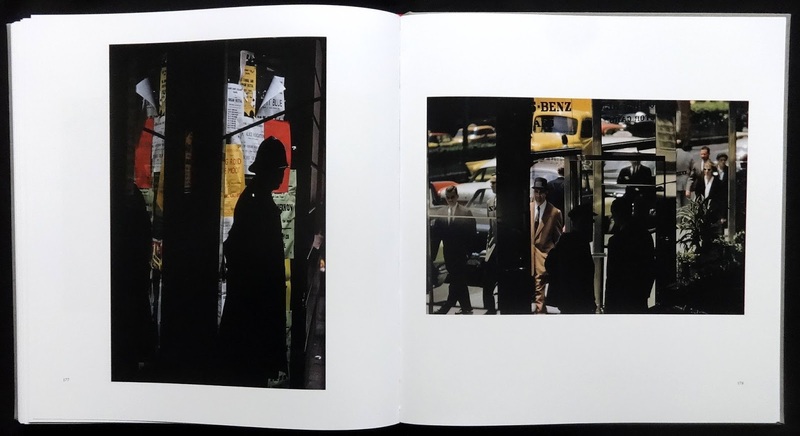 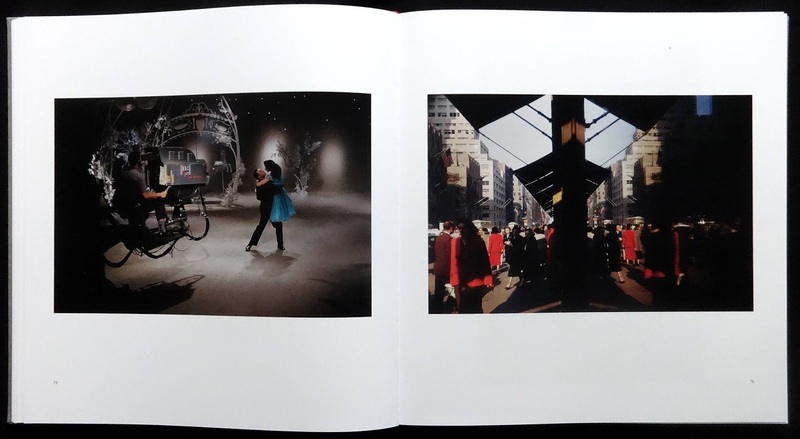 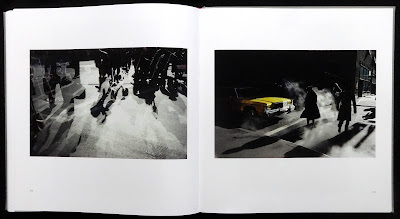 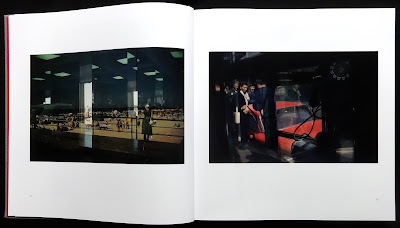 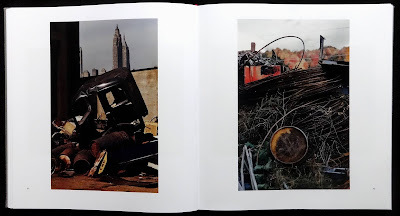 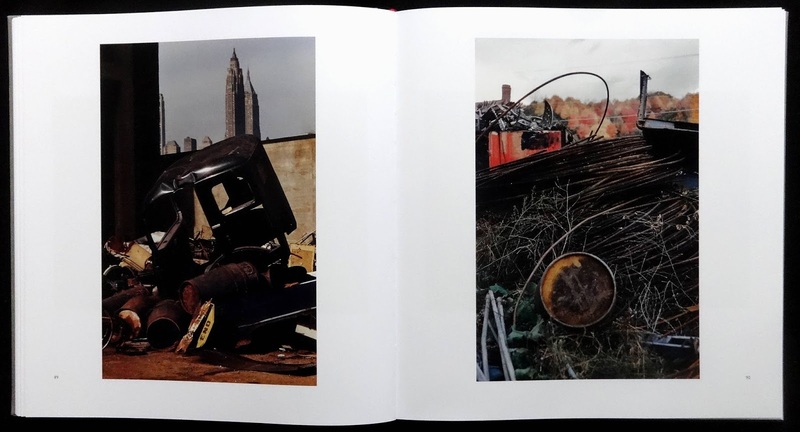 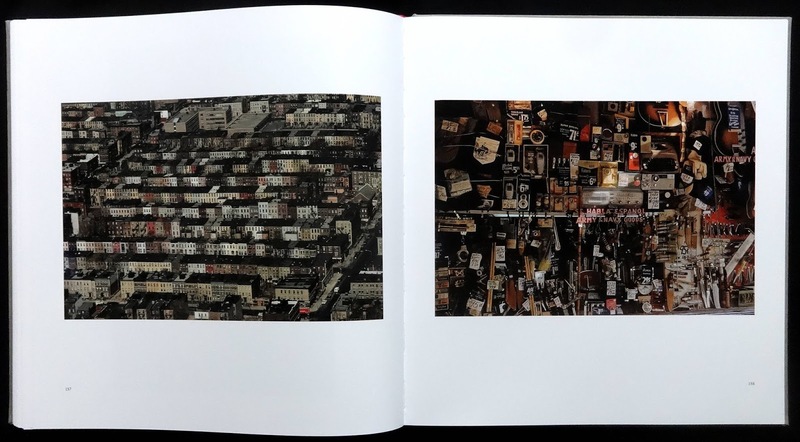 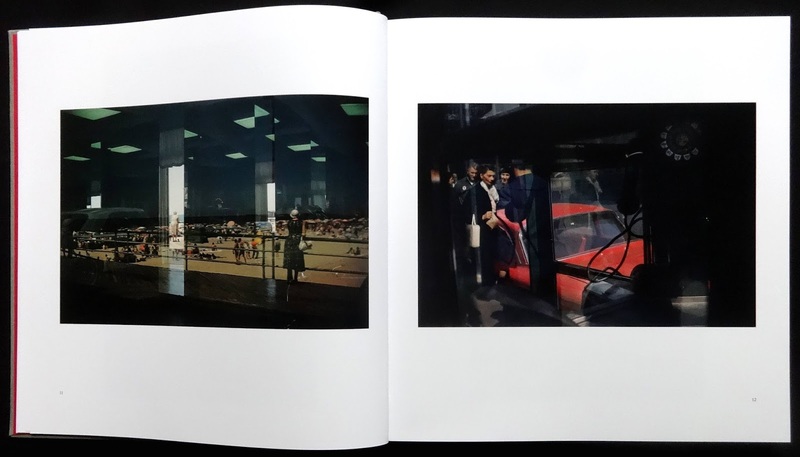 In Philip Prodger's essay he says Haas frequently went out to take photos for himself and the majority of the 186 pictures in the book are in this style. 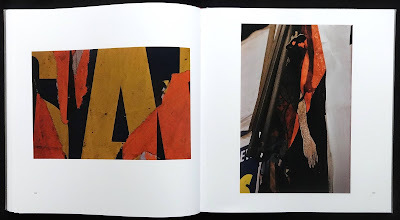 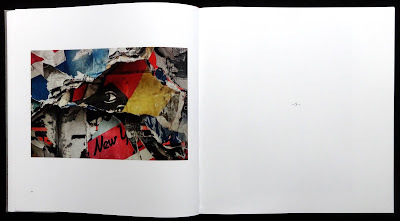 Throughout the pages there is an excellent selection of surface work (rather reminiscent of the close-up texture photos by Aaron Siskind) detail from torn posters, peeling paint, fragments of leaves, sidewalk detritus. 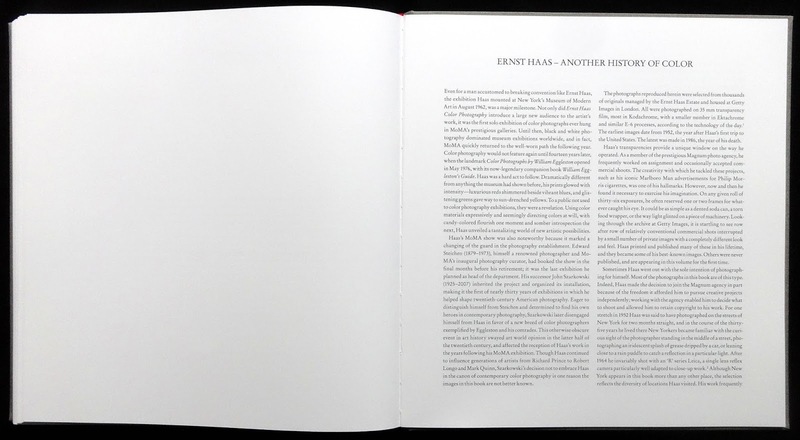 What gives this work an extra lift is the way Haas creates depth by having the background out of focus and a shape in the foreground, add some black around the edges and suddenly the picture on the page is more intriguing yet it could just be a painted number on a wall. 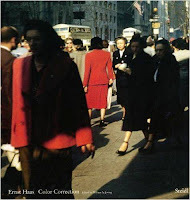 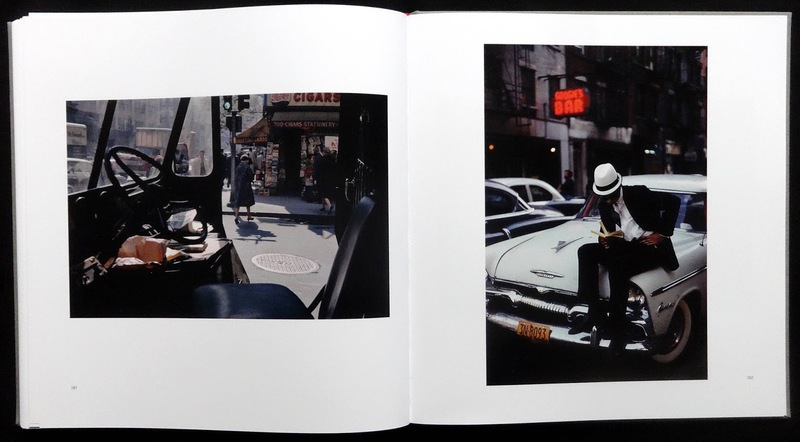 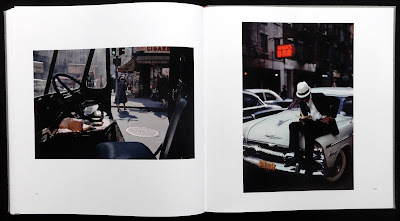 Color correction is a book of remarkable photos, especially as most of them have not been seen before and I think they reveal much more about Haas art than his best selling Creation or In America books. I was surprised to come across nine of these Aero paintings in the last chapter of John Baeder's Road well taken (Vendome, ISBN 9780865653191) as they seemed totally unrelated to more than four decades of his stunning diner paintings. The explanation is simple: a return to earlier times and interests. 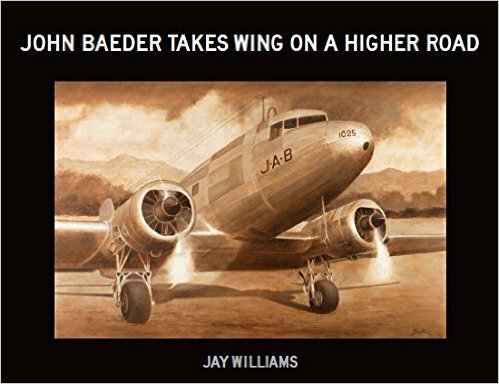 Baeder was always fascinated in flying machines and collected black and white photos in his teenage years, other interests pushed his plane passion into the background until 2014. 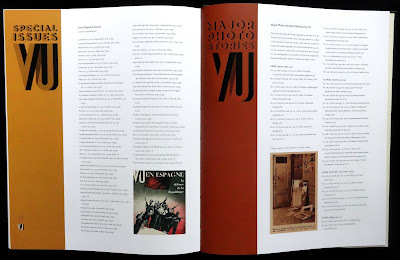 Page six of this catalog has a photo of his two file boxes stuffed with, maybe, several hundred photos of aircraft which flew in the thirties and forties. These graceful machines are the basis of the forty-four paintings in book. 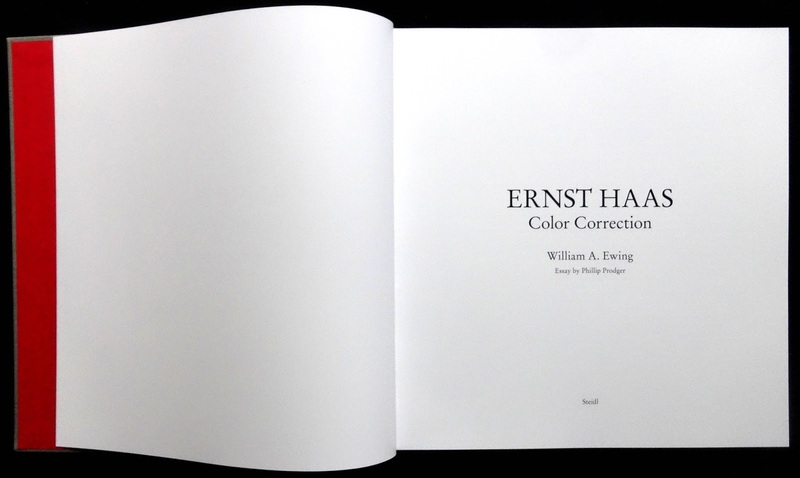 Gone is the exuberant color dazzle of Americana diners for the much more challenging reduced color palette of sepia, blue, black and white. Actually this isn't totally new territory for Baeder, some of his earliest diner paintings were in black and white based on mono postcards he collected. Though the paintings are based on photos several seemed to vary in style, the Lockheed Vega (page fifty) and the Boeing YP-29 (page forty-one) are both predominantly sepia and with little detail contrasting with the remarkably precise detail in the beautiful mono painting of a Boeing F4B-4 (page sixty-nine). 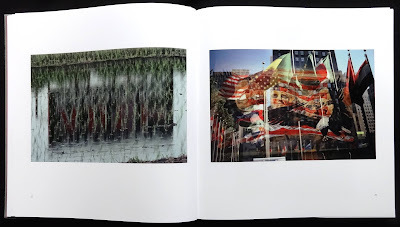 Incidentally these landscape paintings are big, mostly twenty-four by thirty-six inches. If you couldn't get to the Fort Wayne Museum of Art to see these intriguing Aero paintings (November 2016-January 2017) this pleasantly designed catalog will be a good record.